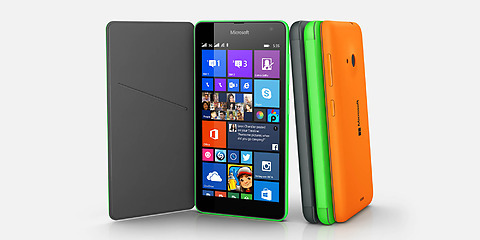 Not long ago Nokia company announced their new model called Lumia 535. The new smartphone has a 5 MP rear camera with LED flash, a 5 MP front camera, 1GB of RAM, 8GB of storage that can be increased by using the microSD expansion. The operating system is a Windows Phone 8.1, and it’s powered by a Qualcomm Snapdragon 200 SoC with a 1.2 GHz quad-core Cortex-A7 CPU and Adreno 302 GPU. The phone has been announced by the official Microsoft online store in the UK, but the price or the exact delivery time is still not given. From unofficial sources we know that the phone will be also available in Germany so it might mean that it will be available all over Europe. Also unofficial release date is siad to be December 5, which the price of 120 euro in Germany. Our websiet sim-unlock.net sells special unlock codes, which allow the phone to work in any network you wish. If you are tired of using the same network all the time, please give us a chance and we will make your life easier.